The 2nd GOA 2016 Edition is like every time a carefully selected journey into the world of Progressive Tunes and psychedelic Goa Trance from the leading artists of that genre. 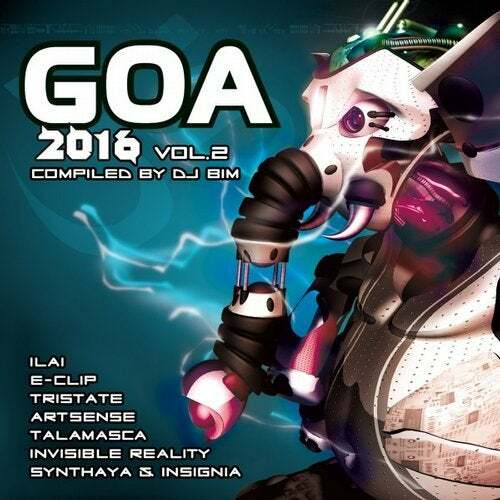 Compiled by DJ BIM, GOA 2016 excites over 2 hours from „Hands In The Air" Morning Trance featured by into deep progressive and psychedelic Goa Trance material out there. Features artists are Talamasca, Synthaya & Insignia, E-Clip, Invisible Reality, Aioaska, Ilai, Tristate, Reverse, Yestermorrow, ArtSense, Taliesin. This CD is a perfect journey throughout our scene, including unreleased tracks from Producers like PehrBerg, Hasche, Kristallklar, Electit vs Delphine, The Key, Chemical Content.